TVS Motor Company, one of India’s largest two-wheeler manufacturers, launched the new Premium edition of the iconic, TVS Victor with stylish features for the festive season. With a strong presence in the executive motorcycle segment, the Premium edition of TVS Victor sets the benchmark even higher with its dynamic design language, class leading technology, fascinating interplay of attractive graphics and superior performance. 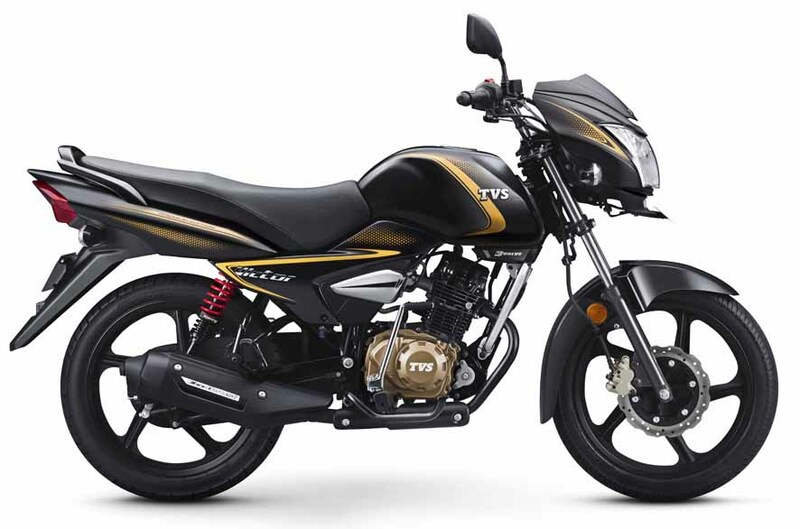 The 110 cc motorcycle has a new sticker scheme and comes with a body colored pillion handle. The chrome details on the side panels add a touch of style. The gold detailing on the engine cover case accentuates the premium feel of the motorcycle and also it comes with LED DRL (Daylight Running Light) which adds to Safety & Fuel efficiency. The motorcycle also comes with a chrome crash guard, which adds to the visual appeal of the new variant. While the premium edition boasts of dynamic new features, it also retains its essence which has made it the preferred choice of over 2 lakh customers across India. TVS Victor preserves its superior engine performance and delivers the excellent mileage of 72 km/l. TVS Victor is powered by an advanced 3-valve oil cooled engine, which is tuned to deliver the optimum combination of power and fuel economy. An electric start fires up the 4-speed powertrain to churn out 9.5 PS of power @ 7500 rpm with a torque of 9.4 Nm @ 6000 rpm. The new Premium Edition will be available in only Disc variant and black colour with yellow graphics, while the other regular variants will be available in both disc & drum variants with 5 impressive colours. The new Premium Edition will be priced at Rs. 57,100 (ex-showroom Tamil Nadu). 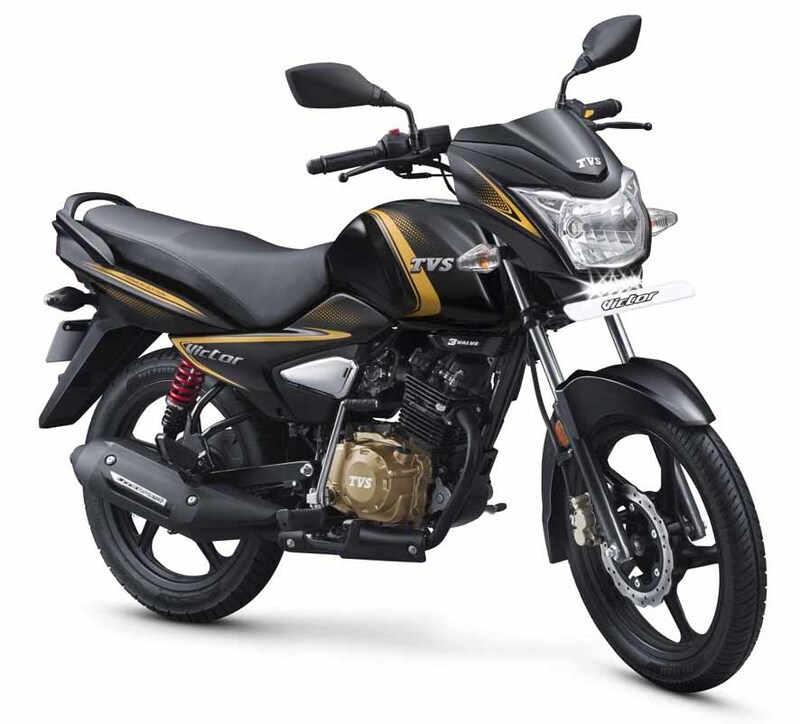 The premium edition TVS Victor fits into its class smartly and is a value for money ride with premium features, a refined engine with ample performance and good comfort.